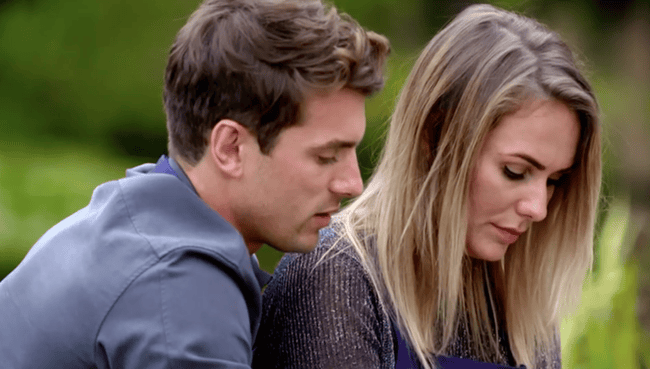 The big Matty J earpiece saga of The Bachelor's second last week. Why you'll only see Matty J from one very particular angle on screen at rose ceremonies. 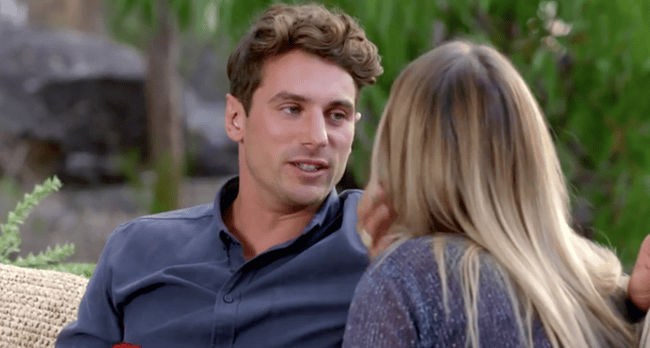 If you’ve been following the news surrounding The Bachelor this week, you’d be forgiven for thinking our Bachelor Matty J exposed himself as a runaway clown not interested in finding love, so fierce were the accusations the show was a farce. It’s a set up! The headlines screeched. Matty J’s being told what to do! A producer’s pawn! Of course, the wave of outrage had come after The Bachelor himself was spotted with an earpiece in his ear mid rose ceremony. Because, you know, heaven forbid anyone forget this is an actual TV show with actual filming and lights and producers and re-takes. In a statement to The Daily Mail, a spokesperson for Channel 10 was tasked with the job of explaining that yes, The Bachelor is a TV show. Oh, and yes, often its stars need direction from the director, but that Matty "never wears an earpiece during a cocktail party or on dates". "The Bachelor or Bachelorette are occasionally required to be connected to the director if there are technical difficulties with cameras, audio and lighting. "Once they get the all clear, they can continue with the Rose Ceremony proceedings. The Bachelor or Bachelorette never wears an earpiece during a cocktail party or on dates." Love The Bachelor? Feel the need to debrief after the show? Bach chat is your podcast. Post continues. And that, my friends, is why you will only ever see Matty J filmed from a very specific angle while at the rose ceremony. In fact, one unnamed Bachelorette has told Fairfax this weekend the earpiece in question is feeding him the names of the women in a very particular order, so as to create tension by leaving the two contestants with the most differences left standing. As for dates? Well, the spokesperson denied Matty wears an earpiece while on a single date, but he does curiously always seem to be sitting on an angle, with the audience only ever able to see one side of his face at any given time. Cobie and Matty.Image via Channel 10. Jen and Matty.Image via Channel 10. Lisa and Matty.Image via Channel 10. Florence and Matty.Image via Channel 10. 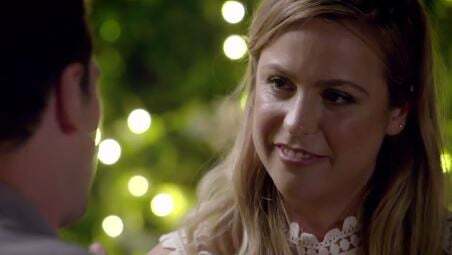 Tara and Matty.Image via Channel 10. Elise and Matty.Image via Channel 10. To catch up on Mamamia Bachelor recaps, click here.